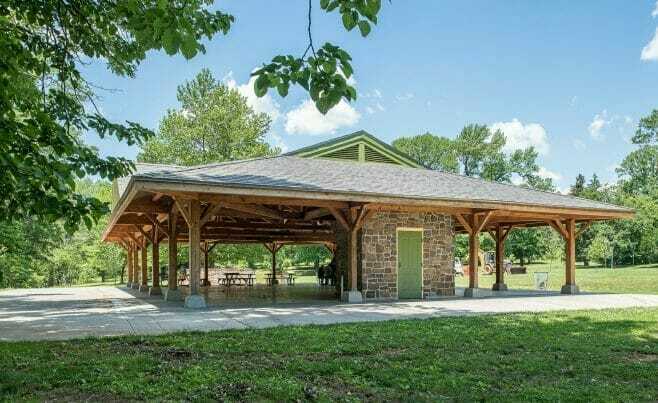 Cadwalader Park is the oldest park in state capitol Trenton, NJ. 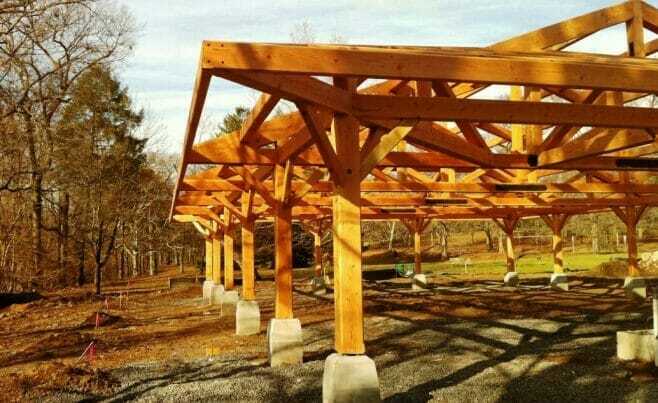 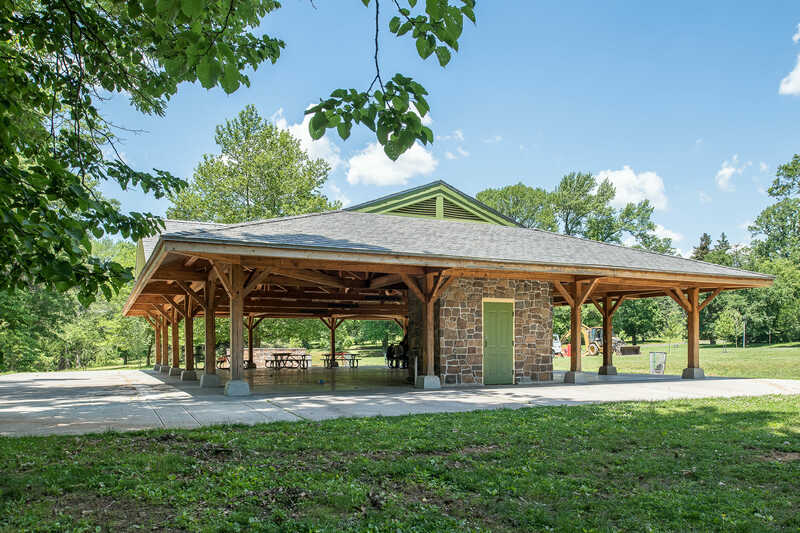 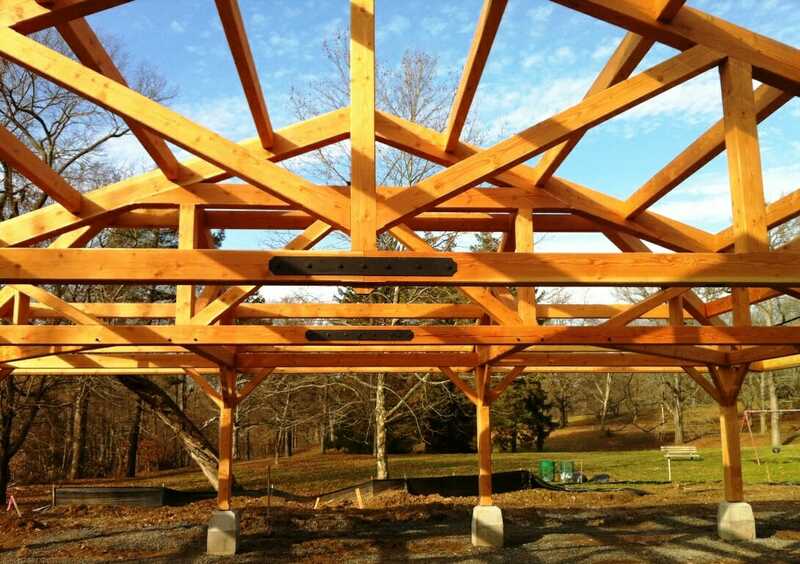 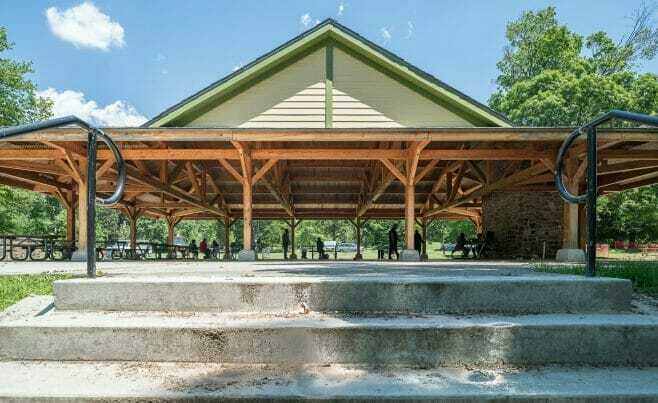 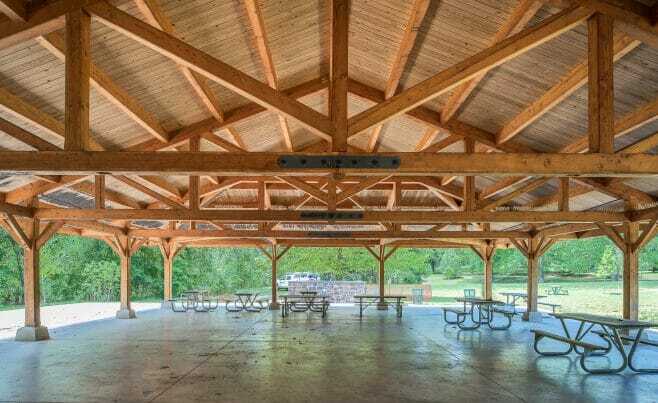 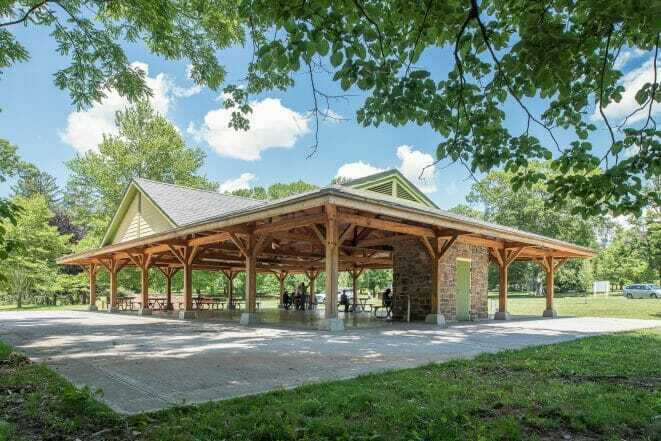 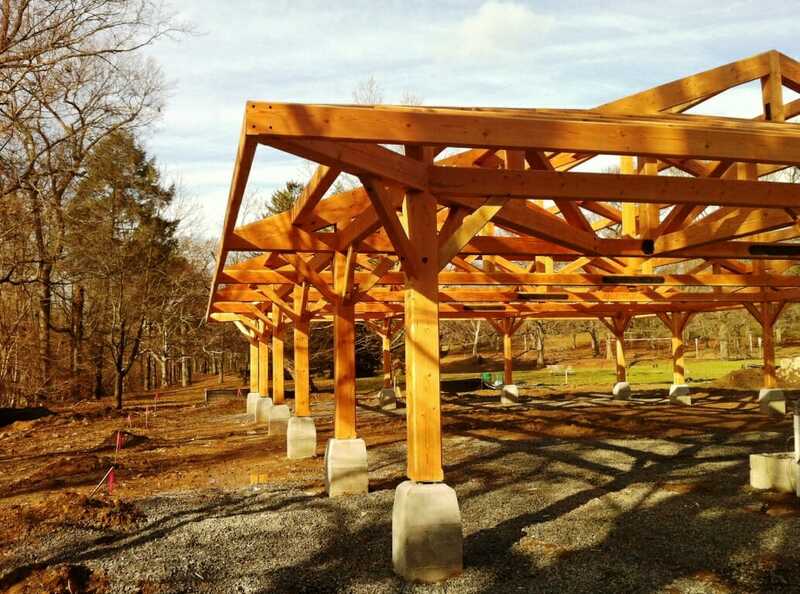 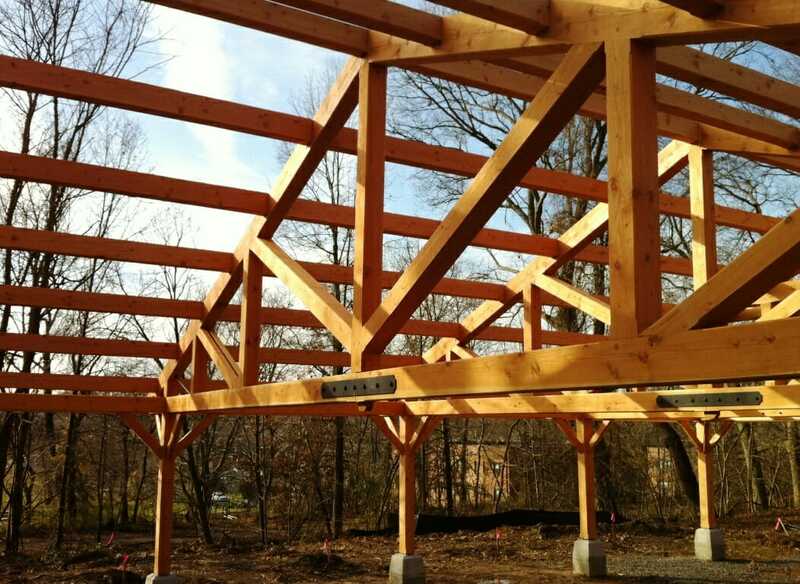 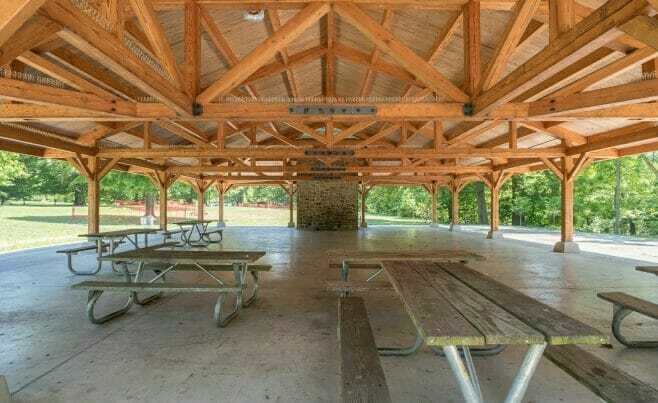 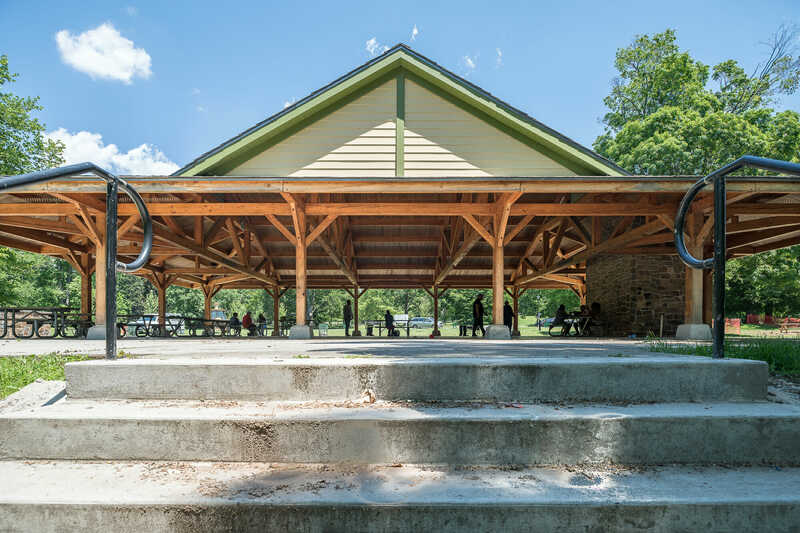 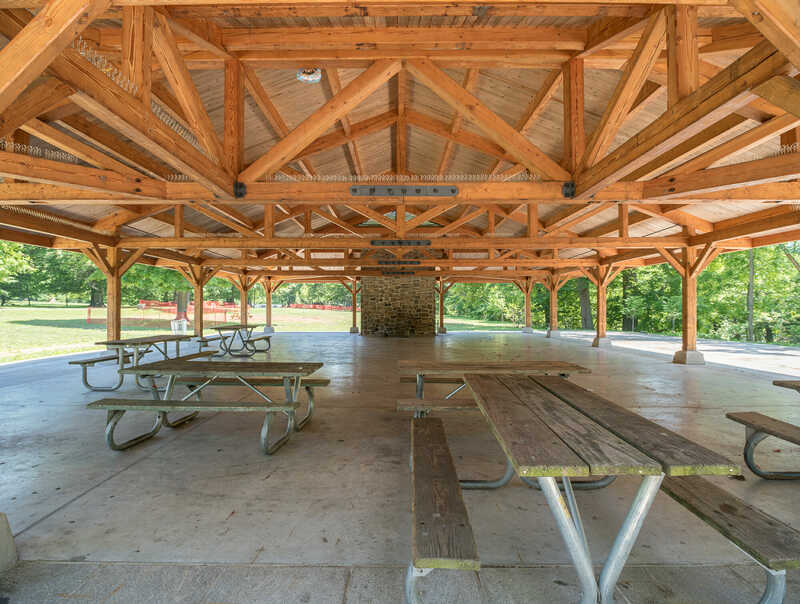 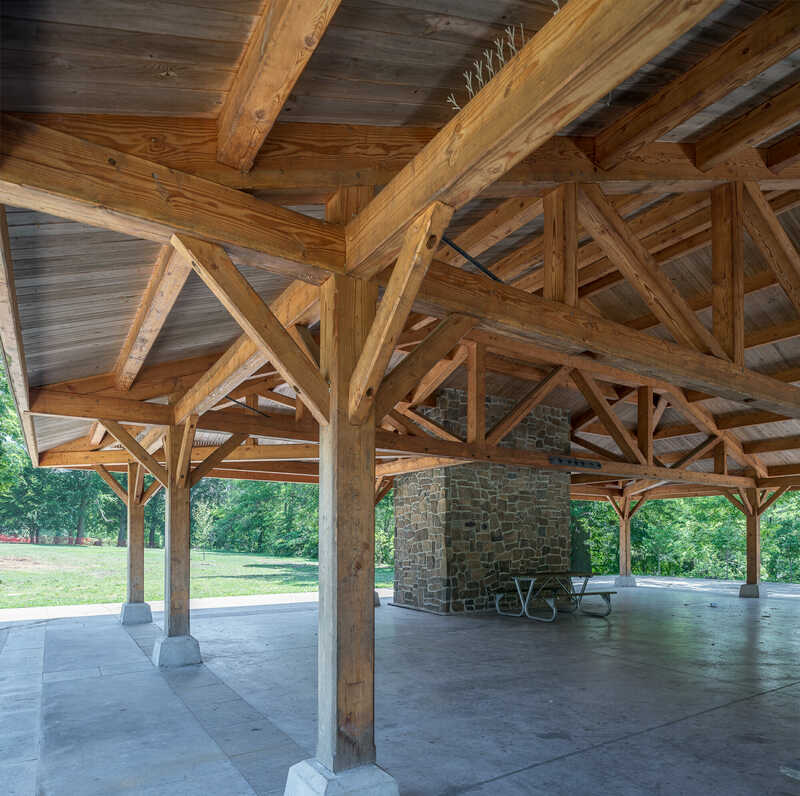 Vermont Timber Works built a pavilion timber frame for the park. 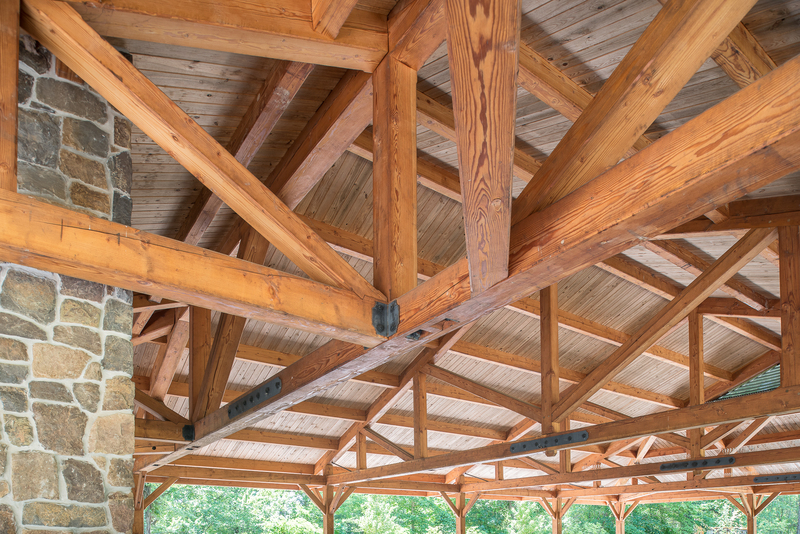 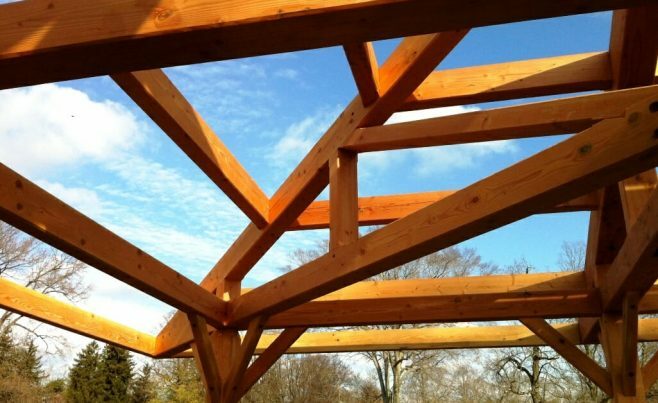 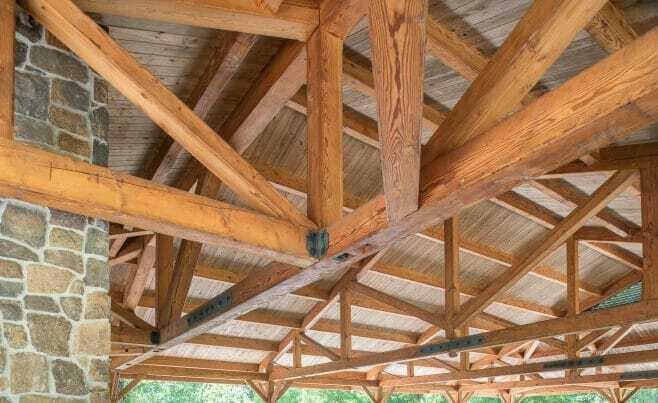 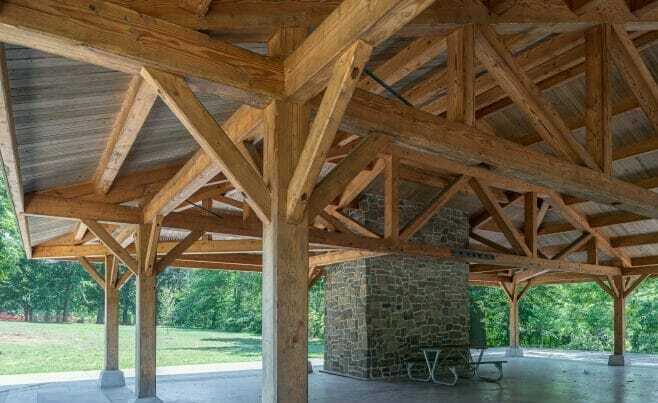 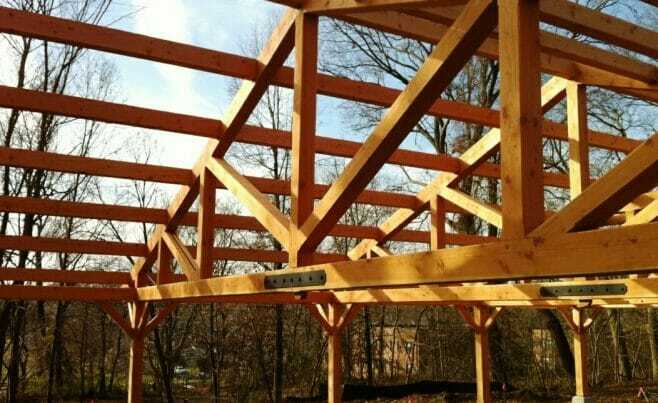 Timber frames are well suited for park structures, because timber framing is a building method with a long history that makes use of a natural material – wood – to create an enduring product. 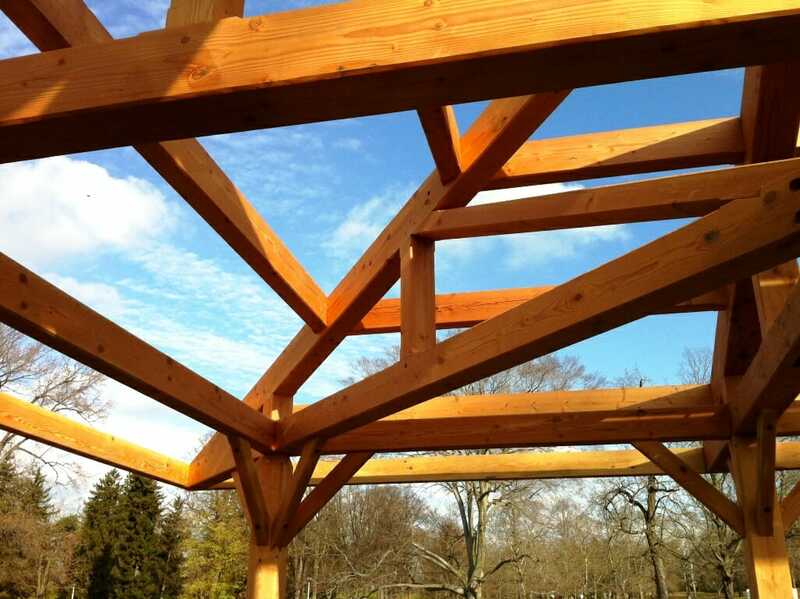 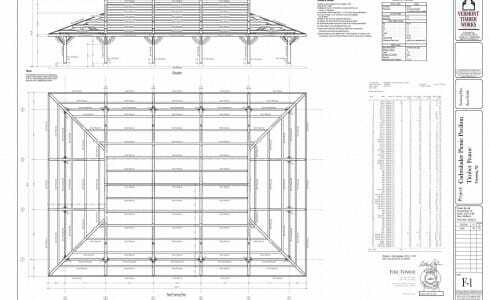 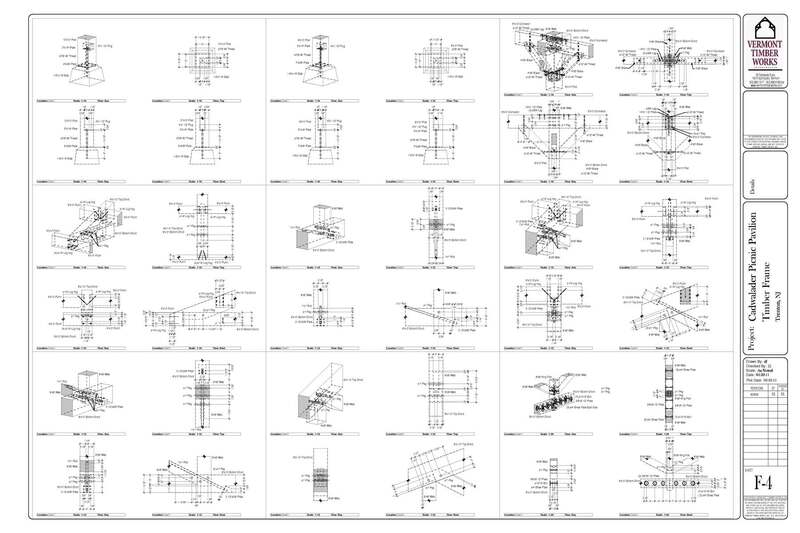 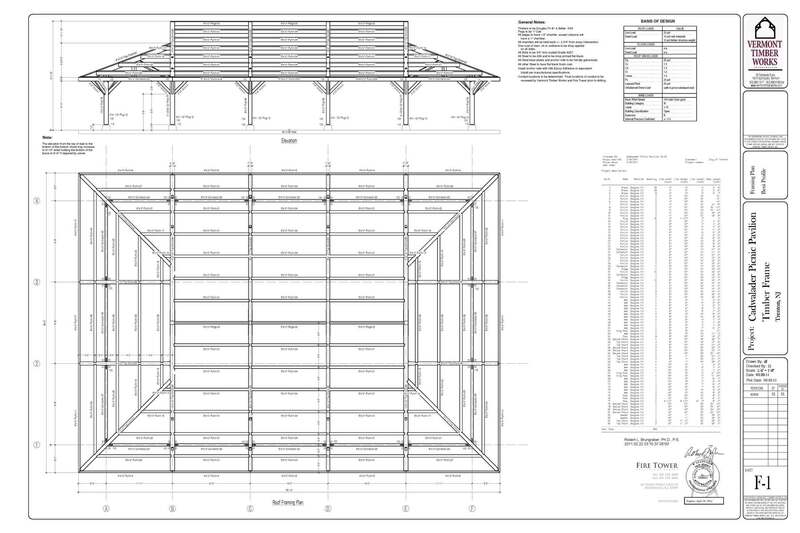 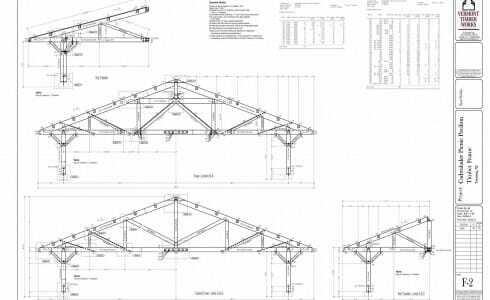 If you like this pavilion frame, or have timber work questions, we invite you to get in contact! 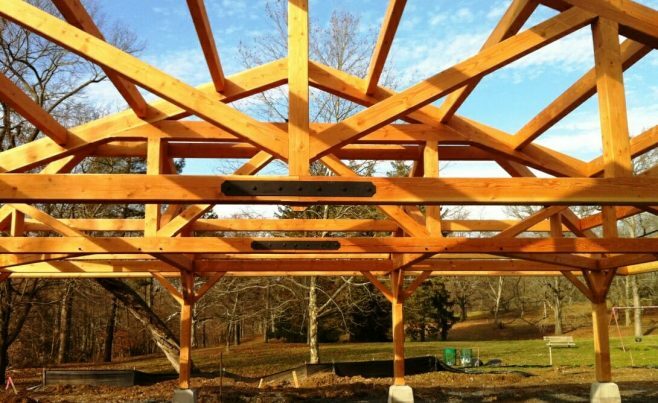 The completed frame shows off decisions that were made early in the process, like which species of wood to use and how to join the timber. 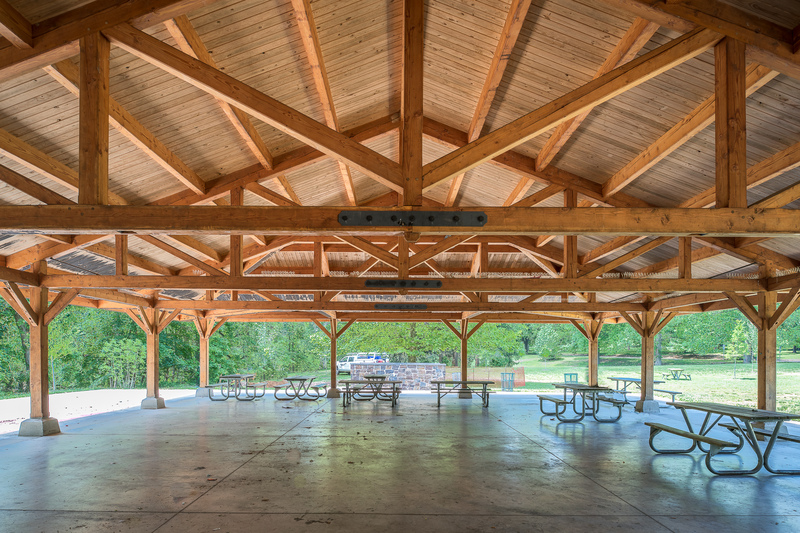 This pavilion was constructed using planed and chamfered douglas fir timbers and 1” birch pegs. 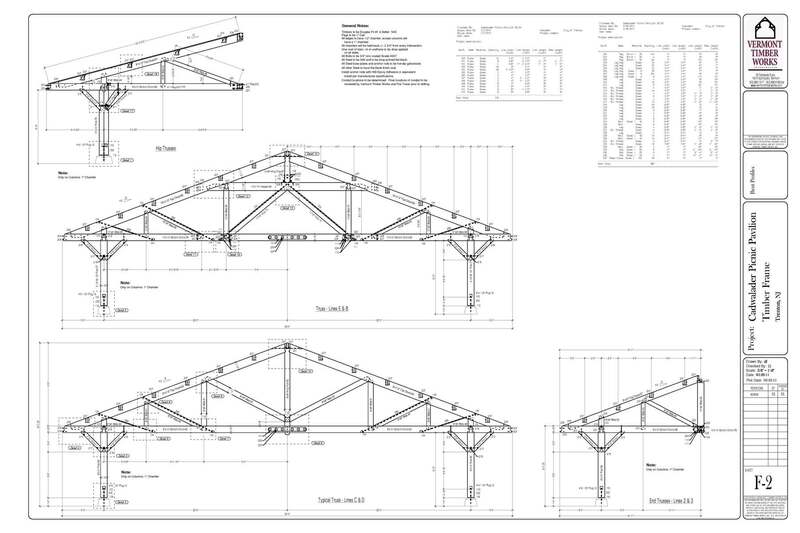 The trusses are traditionally joined and reinforced with steel plates.